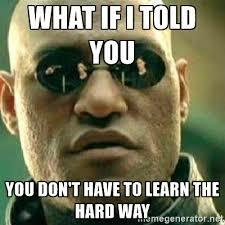 What I mean by following up is, getting the meeting, asking for an intro, requesting advice, all that is the easy part, circling back after accomplishing your goal, or not, that is the difficult part and the part that too many people ignore. As always, allow me to illustrate this point with a story. Last month I met a startup. This particular startup was one that I was personally unable to provide much value, it was simply out of my area of expertise. What I was able to do for them, however, was introduce them to people who are able to help them. And so I did. I made a whole bunch of intros for them, many of which manifested into a meeting that will hopefully lead to substantial help for this startup, investments and other things. I am not even going to address the whole finder’s fee question, something I do not generally do or like, maybe that is a topic for another post. Anyway, it all went down like this. We had a good meeting, I told them I cannot really help them but know a few people who could. I made those intros. They connected, then put me in BCC as is the widely accepted and positive practice, then I eventually got dropped from the thread, thankfully. More on how to make and request professional intros here. Fast forward a few weeks and this startup meets one of the investors to whom I introduced them. The meeting went well, the investor reached out and thanked me, but guess who forgot to circle back and follow up… That’s right, the startup. Don’t you think that if I went out of my way, granted them access to my network, my relationships, and thereby, like it or not, endorsed them, that I deserve to be pulled back into the loop to find out how the meeting went? Yes, I do too. But they didn’t and that is not ok. I like the founders and this won’t change that, but the reality is, this type of behavior speaks volumes about someone’s professionalism. Someone puts themselves out there for you, don’t forget that down the road, but even in the short term, update them, thank them, follow up! Someone made an intro. They’re out of the loop. We addressed this, but I just want to emphasize that every entrepreneur should absolutely view this follow up as an inherent part of the introduction process. This isn’t nice to do, it is a must. Quickly remove the person who introduced you from the email thread and post meeting, add them back in just as quickly, even just for a thank you and a quick update to let them know how it went. You did outreach and didn’t get a response or did, but never manifested. 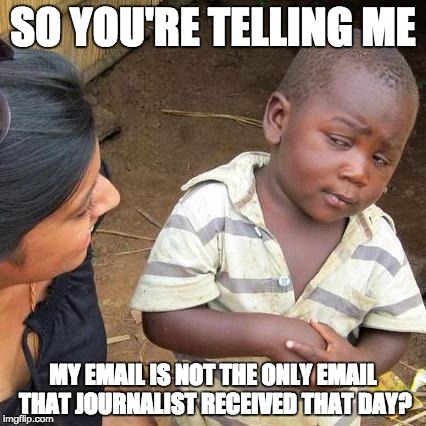 It doesn’t matter what type of outreach we are talking about here, whether to a journalist, a potential partner, or someone else, sometimes email gets lost, follow up! All it takes is literally three words, “Just circling back.” Those three words can be the most important three words you ever wrote and can be the difference between success and failure. Now, let me say this loud and clear (Shouldn’t it be “Loudly and clearly”? That always bothered me. Gotta love my ADD.). If you don’t hear back from that journalist after you have followed up more than two times, either you have the wrong email or your pitch is irrelevant to them and it might be time to go back to the drawing board/your media list. I will also add that I will never understand those people that don’t respond to emails. How long does it take to write “No thank you”? Not that long, so why keep another human being hanging? Their pitch is not relevant? 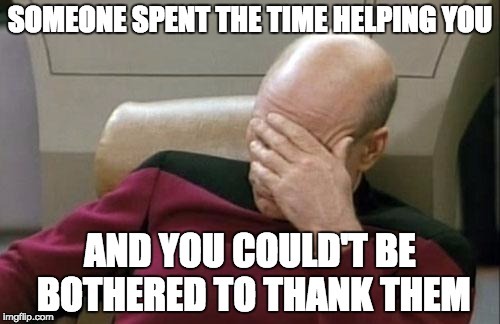 Tell them so they can be better at their job. You have too much email and can’t respond to everyone? Sorry, that is lame, and quite frankly, I don’t buy it. You either need to handle your communication more efficiently or you are just lazy. People deserve a response. Worst comes to worst, get an assistant to help you. Ignoring someone is never ok. Just my opinion. Back to you, the “pitcher”. Follow up, your email may have gotten buried. You followed up twice and still no response? Move on. 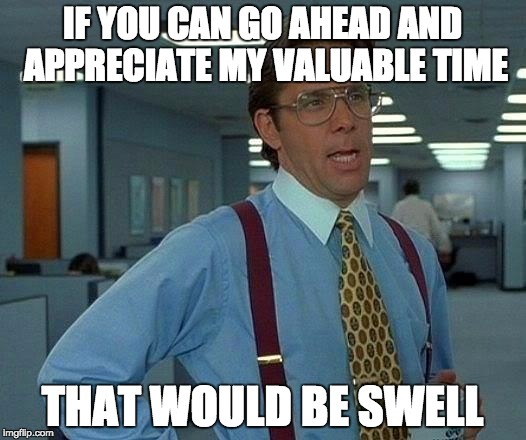 Yes, that is right, I am indeed saying that every single meeting you have deserves a follow up email. Who is supposed to send that email depends on the context of the meeting. 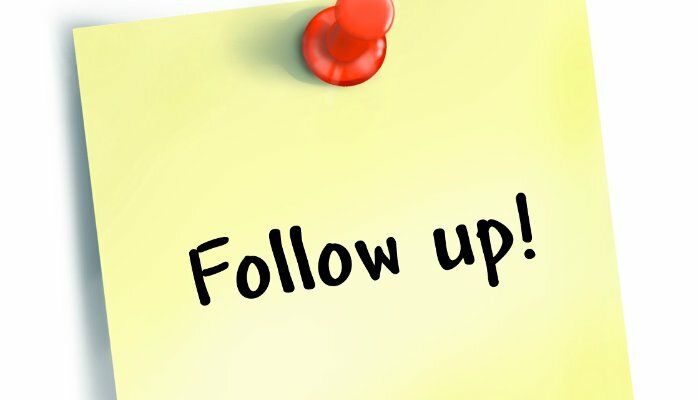 If you are seeking something, money, advice, intros, whatever, and you had a meeting with the person from who you are seeking it, send a follow up thank you email. Anyway, you finished a meeting in which you were the one seeking assistance? Send a follow up email as soon as you can. In fact, the faster you send it, the more impressed and appreciative the recipient will be. So, you pitched a journalist and they covered your startup? You pitched a partner and they signed the contract? You made a sales call and the person bought your item? Follow up in a few days/weeks to inquire about their satisfaction or just to thank them. Again, a must, but one that not many people do, so it will be highly appreciated and will help you build a more sustainable long term relationship. Anyway, there are about a thousand more instances in which the follow up is more important than the sale, but I think you get the point. Closing is the Mustang, following up is the Aston Martin.